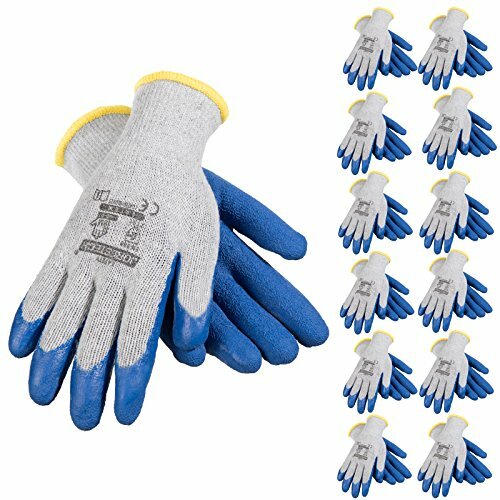 The JORESTECH line of coated work gloves offers premium protection, grip, and dexterity so you can handle tools, machinery, and hazardous tasks with ease. They are ergonomically designed with a soft, form-fitting construction that provides increased comfort and agility for long-term use. These gloves are partially coated with a textured protective layer of latex for a stronger grip in wet, dry, and oily applications. Simultaneously, the non-coated, textile section on the back of the glove facilitates cooling and air flow to improve flexibility and preserve breathability. Ergonomic design with soft natural cotton and a form-fitting construction provides increased comfort and breathability during long-term use. Compliant with EN 388 standards: Abrasion Resistance 2, Blade Cut Resistance 1, Tear Resistance 3, Puncture Resistance 1.